TL: This will be a lengthy announcement, so read on! Firstly, I tried to improve functionalities of the blog, like adding in an experimental night mode function. Adding anchor links for blogger is quite terrible, however. If you're new to the term, it's basically like this that directs you to the footnotes/glossary part like how wikipedia does. I don't think I'm able to do it on blogger, but it'll be easier on wordpress, for example. Nah, i'm lazy to switch. I'll wait till google DMCAs my blog before making a wordpress domain. Next, is with regards to the translation. My next release will be on the 26th, with one release daily every day subsequently. Again, next time you'll see me, it'll be on the 26th. Alright, that's all for now! I still wasn't able to see the sun even after stepping out of the house. Looks like it's going to be a cloudy weather today. There weren't any clocks present in Xue Qing's home, hence I didn't know what was the current time. Forget about having clocks already, I really don't get why there wouldn't be lights installed in the living room and bedroom. Rather than saying that the lights in the bathroom was being used for illuminating purposes, it's more of it being utilized for warming up body temperatures instead. Although it was very strange at the inside, but looking from the exterior, this house looked completely like a luxurious mansion, which made me unresistingly ponder, whom exactly were Xue Qing's parents? "Speaking of which, Xue Qing, where are your parents?" I didn't continue asking onwards, but held her hands even more tighter a little. After knowing about it, I can't just leave it as that. Although I didn't like to be a busybody, but if it's Xue Qing...........as a friend, I still must try my best to help her. Not being able to see anything at all during midnight yesterday night, I was still thinking that this black street, which had caused me to search fruitlessly for an entire night, would be what kind of a place exactly, but with the result that it was just merely a normal stretch of shopping district. The road was rather narrow. Cars would be having an uneasy time trying to pass through it, and I'm guessing whether if there would even be drivers who would be willing to drive their cars into such a narrow piece of street at all. Although it's said to be a road, but it's even alright for it to be described as a walking street as well. People were strolling about on the streets normally, some even chatting and laughing about as they did so. On the two sides of the street had a few street shops being opened ordinarily, with them selling all kinds of stuff...........it's really such a street with no unique traits at all. Like other shopping districts for example, they would often be hosting similar shops for the entire street stretch, which for example, an entire street selling seeds, or an entire street hosting a variety of hotels, or entire streets swamped with hotpot shops. But for this street, there weren't anything unique already. Black street...........heh, everyone residing in it slept at a rather early timing, with its nighttime being pitch-black. It can't be that this would be the specialty of this street, huh? The shops that were open were also rather bizarre, with some of them just by glancing at the signboards alone actually not being able to be distinguished on what sort of shops it was. Like that place called ''Black-green inn", just by looking at the name of the shop, who the hell would know exactly on what kind of business it operates? And why must it name itself onto this kind of naming which goes against the trend? Don't they know that for the current era, the more direct a name the better it'll be? Scratching my face while looking at that group of talking and chuckling passerbys, I asked Xue Qing who was right beside me. "Xue Qing, this street can't actually be some sort of an theater for somewhere, right?" Xue Qing tilted her head as she questioned back. "Like those that are intentionally created, being used for movie filming or a temporary location for some television series." "Ahaha...........you have a point, sorry for asking such a strange question." Aaahh..........it's true as well. Just the same as me, Xue Qing similarly was that type who was disinterested with her surroundings. Even if she was living in this street, she probably wouldn't know about the stuff regarding onto this street too. What was strange wasn't this street itself, but the 'passerbys' that were on this street. In my sight, the titles that were on everyone's head were all [Crowd Actors]. It can't be that this street was concurrently filming a movie or recording some sort of television series? But I also didn't seemingly see onto any sort of dramatic events occurring...........were they still in the process of preparing them? I originally didn't like being entangled into things that were troublesome, so I had better try my best to avoid them then. "Let's first leave this area, it doesn't seem to be that good to be disturbing onto other people filming their shows." I originally wanted to simply go to the nearest place to buy stuff, but since other people were recording shows, it's better to go to other places then. Xue Qing nodded her head, and started to pull me along. Was she afraid that I'll be lost? Since I've arrived upon this place last night in the situation that I've wasn't able to see anything at all, hence being completely unfamiliar with this street as a result. Just like that, Xue Qing was like when we had initially came here as she led me around for awhile later, heading towards the left from the entrance of a T-junction, and once again stepping into an alleyway. Walking out of the alleyway thereafter, what I saw was the familiar DaJinHua Departmental Store, and not too far at the left side, there's the Subway Line 2 Mrt station, with the titles of the surrounding people becoming varied as well. I'm able to see the sun already, its position was centered and slightly leaning towards the west. So it's already afternoon hours. Huh? We've actually arrived at such a faraway place? I recalled that this place should be quite far from Coastal Road, but we didn't seem to have walked for quite a long distance just now...........a five minute travel, being able to arrive at a location where one must take the train while needing to transfer unto two different lines? Woah, isn't that too incredible already! Black Street, where exactly are you located at? Uuu, forget it.........it's better that I not bother about this matter already. Looking back at my recent experiences, there were some things that would be better if I didn't know about it. Why be mindful of these minor details? It'll only herald a load of trouble upon myself. "It's perfect that there's a departmental store nearby, so let's first go buy some clothes for you then." Then again, what kind of clothes should I buy for Xue Qing...........with this frame of hers, don't tell me that I would need to get her some children outfits? In any case, I'll first go in to take a look around. I casually led Xue Qing inside a clothes store, it's that type of renowned clothing store that one would often be seeing onto. Upon seeing us walking in, the shop employee jiejie walked over to us with a bright smile on her face. However, upon seeing the title on the shop employee jiejie, my face stiffened once more. It's yet another [Crowd Actor]! Seeing that the other party had already arrived right in front of us, I hastily kept my shocked expression. "Good afternoon, sir, have you come to buy some clothes for your daughter?" "Um, she's not my daughter..........."
In other people eyes, do we really look like father and daughter? The shop employee jiejie awkwardly chuckled, hastily correcting her carefully-worded phrase as she said. "Ah, I'm sorry. Then, are you here to buy some clothes for your younger sister?" With the result that she still got it wrong, but rather than saying that it's 'A person which didn't know unintentionally getting it wrong', it's more of a 'A person who knew but intentionally acting as if that they had gotten it wrong'. Because I'm very good at differentiating out lies, hence I'm slightly able to see it out. To be frank, her acting skills were rather adept. I had relied on that tiny bit of unnatural feeling for me to be able to differentiate it out. But, forget it, I'm also lazy to go bother about it already. "Yup, I want to buy 2 sets of clothing for her, can you please help to select them?" At this timing, it'll be fine to just task the shop employee jiejie with it, as I really don't have the eyesight onto selecting clothes at all. It'll be way easier if Ke Ling was around at this sort of timing, but because my phone was out of battery, I wasn't able to give her a call. "Sure, sure, this way please." I let go of the hand holding onto Xue Qing's fingers, but she didn't let go of my hand, instead using both hands to pull onto my arm, leaning her body close to me, with her head raised whilst talking to me. "Eeh, me? But my eyesight in clothing.........."
Xue Qing shook her head, using her unrelenting firm gaze to look at me whilst saying. "It's fine if you choose." "...........I got it, then leave it to me then. Just like that, I'm sorry ehehe, Miss shop employee jiejie." "It's alright, please be at ease sir, but to be seeing siblings with such a good relationship like sir and mam, recently there's not much like that around already." Me and Xue Qing, we had a good relationship with each other? I once again affirmatively glanced at the title above Xue Qing's head. It's the color of blue that's reminiscent of the sky, proving that she is completely trusting onto me. I still didn't understand on why she would be treating me that well, was it because of the charm magic circle that's inside my head? But it seemed to not be because of only that...........was she desiring to obtain some sort of thing that's on me? Ahhh, stop thinking about it already. A ripe apple will fall down naturally from the tree, I'm also not that sort of genius who's able to predict and take action against the tides, I'll just take a step at a time. "But, I suggest sir to go to that side and take a look, the clothes over there are more suitable for your younger sister." "Oh, thank you very much." The shop employee jiejie gave off a smile, nodded towards me, and made a 'Please go ahead' gesture. I similarly nodded my head towards her and brought Xue Qing to the region that was being recommended by the shop employee jiejie, to go select some clothing. Mm, if it's Xue Qing, what kind of clothes would be suitable for her? The impression that she gave...........just like her naming, she's just like snow, having a cold aloof personality, but displaying a very gentle attitude towards me instead, and also being white as well. The sensation of being completely and flawlessly white. Let's go according to this impression onto choosing her clothes then. At first glance, I fell in liking with a white colored hooded sweater, as I felt it to be extremely suitable for Xue Qing. I remembered that Ke Ling said before that clothes must be matching with each other...........like white and black naturally being very matching, it's the so-called 'black and white counterparting'~. 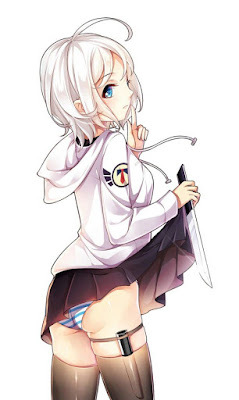 I'll carry on buying a black colored skirt then, hmm...........it'll be a small skirt then. As long as a target aim has been set, selecting clothes would be surprisingly easy. "Xue Qing, go on and try this." After a short while, Xue Qing who had changed into a set of fresh clothing appeared right in front of me. Just as what I've expected, it was very matching with her, especially that of Xue Qing wearing overly long black socks, it complementing along with that black colored skirt was even more like of drawing out a dragon with a perfect dotting of its eyes. The process of selecting clothes had been rather smooth, but there's a problem cropping up when wanting to pay for the items. In front of the cashier, I flipped over my pockets left and right, yet was still unable to locate onto my wallet. When leaving my house, I definitely would have brought along "IPKM", the four great necessitating items, but now I couldn't locate onto my wallet already. Does this mean that it was placed at the pockets of my jacket, and had been taken away by Xiang Yue Xun? Luckily Xue Qing had seemingly brought along a card. Haaa, letting a woman paying for it and whatnot was really shameful...........speaking of which, when I was together with Lian Bing, I could also clearly feel onto the distinct wealth difference between the rich and the poor. "Ahh, sorry about that, Xue Qing...........urk! Black card?!" This, should be that legendary black card, right? Although I don't really understand much about it, but I remembered that sometimes in movies, there will be an appearance of this type of pure black-colored card that has a drawing of an ancient head of a soldier on it. It's a symbol of wealth and status. After finishing paying for the items cost, Xue Qing changed back into her school uniform. Saying that she didn't want to dirty her new clothes. Afterwards, I brought her along to buy a load of necessitating daily essentials and ingredients that were to be used for dinner, before preparing to leave the shopping district. When we were leaving, Xue Qing suddenly pulled onto my hands, saying. "Mm? Is there something else that you wanted to buy?" "Ah, a phone. Indeed, this certainly is a must." I've forgotten about this matter already, it indeed was very inconvenient to be without a phone. Speaking of which, last night started just from the small matter of being without a phone. "Let's go buy a phone then........."
Very naturally, I once again took hold of Xue Qing's hands, and at that very instant, I instantaneously felt upon a bout of back-chilling sensation, it made my entirety feel extremely discomforted! In a single moment, I understood onto what kind of feeling that was. This sort of feeling, to me, was said to be too familiar already. There's someone who was spying on me! To imply it more seriously, there's someone who was stalking me! During at school, because I was always together with Lian Bing, attracting the attention of other students wasn't that much of a strange matter. But now, right now I'm outside of school? Plus the person beside me wasn't also Lian Bing, but Xue Qing instead...........who was it exactly that was stalking me? Have I been targeted by someone already? No, it shouldn't be Xue Li-xiaojie, if it's her who stalked me, I would have completely been unable to feel it. Not to mention that this bout of gaze felt rather prickly! Looking around at my surroundings, I still wasn't unable to notice onto any sort of suspicious people, and didn't detect any statuses that had inappropriate colors as well. Looks like the other party's stalking skill was rather adept, as they did an excellent job onto concealing themselves to be at the blind spot of my sight. Ahhhhhh! It's so freaking annoying! Are there any solutions to let me see onto whoever it was who was peeking at me! "Ah, it's fine, let's go." This bout of sensation would always be causing me to feel unnerved...........looks like I would need to go learn onto some anti-stalking techniques already. I must get to the bottom of whoever that person was that have always been stalking and ferociously glaring at me! I don't want to spend my days everyday being in constant trepidation! Ferocious, Glaring (虎视、眈眈) = It's originally an idiom (虎视眈眈), which meant to ravenously glare at a victim, almost about to pounce right on it akin to a tiger. DaJinHua Departmental Store (金华百货) = A real departmental store located in China, Guangdong. P/N: If it mattered, I tried to check if there's a Subway Line 2 nearby dajinhua dept store, but it's way too far away to be believable. (1hr distance) Anyone living in china able to help me cross check this? Haha. This refers to the highlight of something that prominently draws attention to that certain thing. In the story's case, Jun Cheng found Xue Qing's stockings to be extremely alluring due to it matching her outfit exquisitely. I mean, look at this ↓ and tell me if you agree or not. 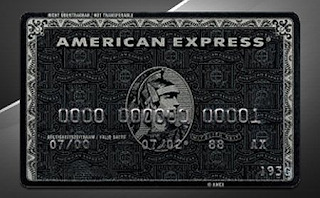 Pure black-colored card that has a drawing of an ancient head of a soldier's on it = Sounds very similar to an AMEX black card.... it's really for the superbly ultra wealthy, and very, very select few individuals are allowed to wield it. jiejie (姐姐) = refers to 'elder sister'. Note that in this instance, it's more like a generic term, referring affectionately to a pretty lady in the 20s. Thanks Flare. Finally glad to see we're getting daily updates again. Almost forgot who our protagonist was. was she the intermediate stalker, Lan Hua? ahahaha.....because ch58's the last cliffhanger before the beginning of a new arc. I really want to know what's with the "crowd actors" purposes are. I guess we're gonna find out soon. 26 huh... I'm pretty occupied by now so i guess it won't be much a wait. about what the crowd actors are for, it will be first hinted upon towards the end of vol 2. Thanks for the chapter flarewk! So many possibilities as to who is stalking him rn. Thx for the night mode. Thx for the chapter. So the MC here has a white hair?